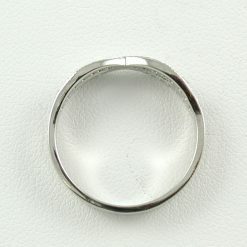 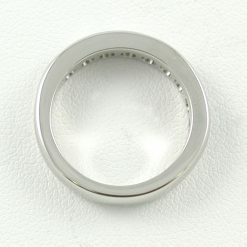 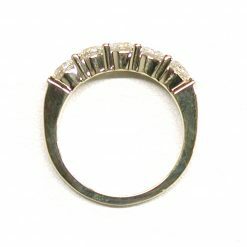 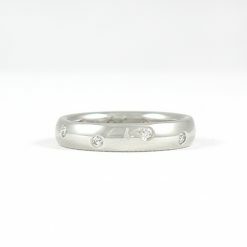 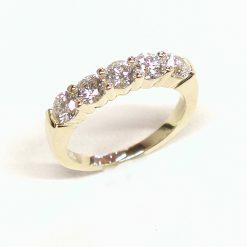 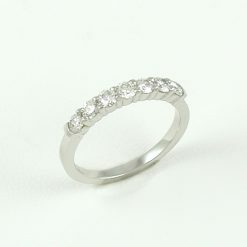 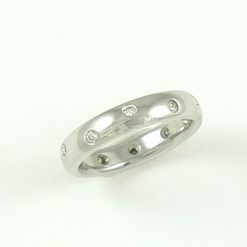 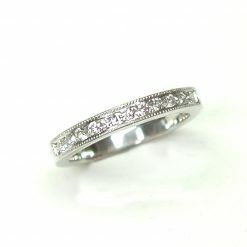 Clarette - Leber Jeweler Inc.
Clarette wedding band. 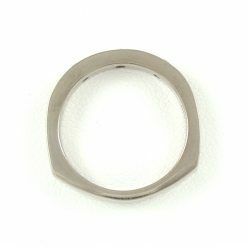 3mm substantial weight flat band with comfort fit inside. 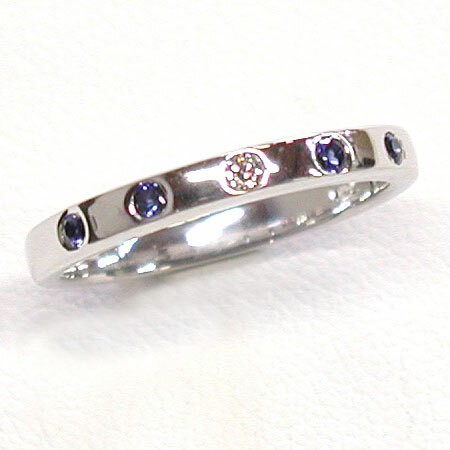 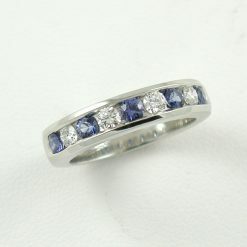 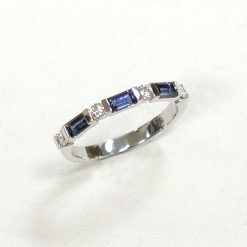 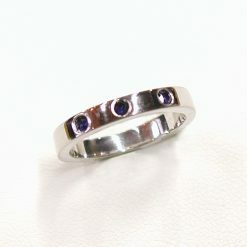 Flush-set with four 0.12ct total weight Fair Trade blue sapphires and one 0.03ct conflict-free Canadian diamond. 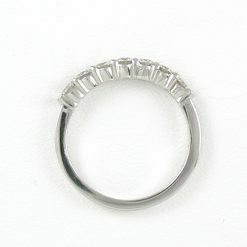 Clarette: To be clear and bright. 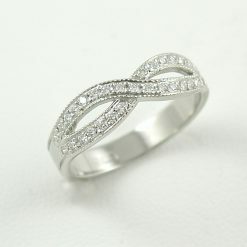 Everything this pretty little ring is, and more.